Get together at the Clarion Hotel Beachfront in Mackinaw City, located at the tip of Michigan, near the Mackinaw Island Ferry dock. Our sprawling, lakefront hotel is an ideal lodging destination when you need to get away or get work done. We have a business center for your convenience as well as a fitness room, indoor pool, free continental breakfast and free weekday newspapers. Buses are welcome, too. 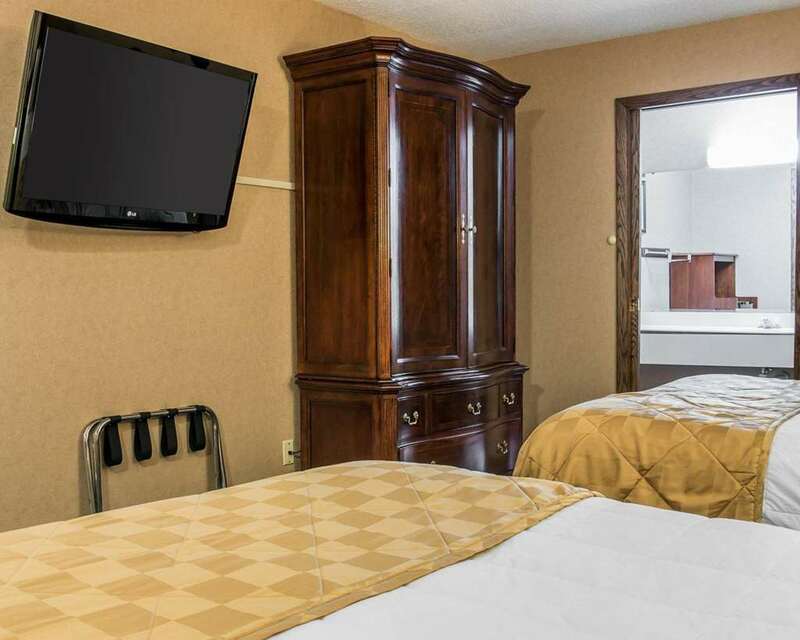 All of our smoke-free guest rooms feature TVs, coffee makers, refrigerators, irons and ironing boards. Also, earn rewards including free nights and gift cards with our Choice Privileges Rewards program.